This is a lovely photo of Michelle, her portrait and her dog Sammy. It was commissioned by her friend Felicia as a surprise and what a wonderful surprise it must have been. I hope you enjoy reading the testimonials and viewing the photos below. 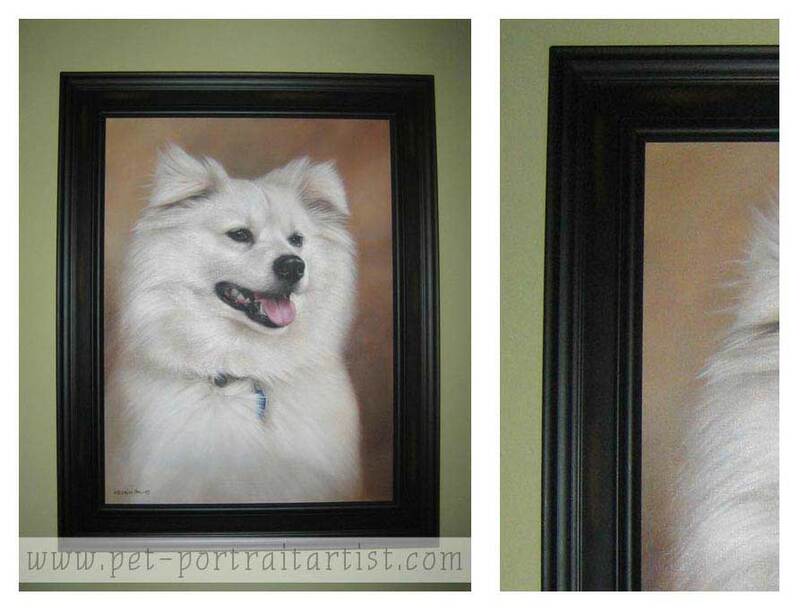 Sammy’s portrait is absolutely beautiful, and I can’t wait to present it to my friend. Thank you so much for doing a wonderful job. I’m so glad I found you! 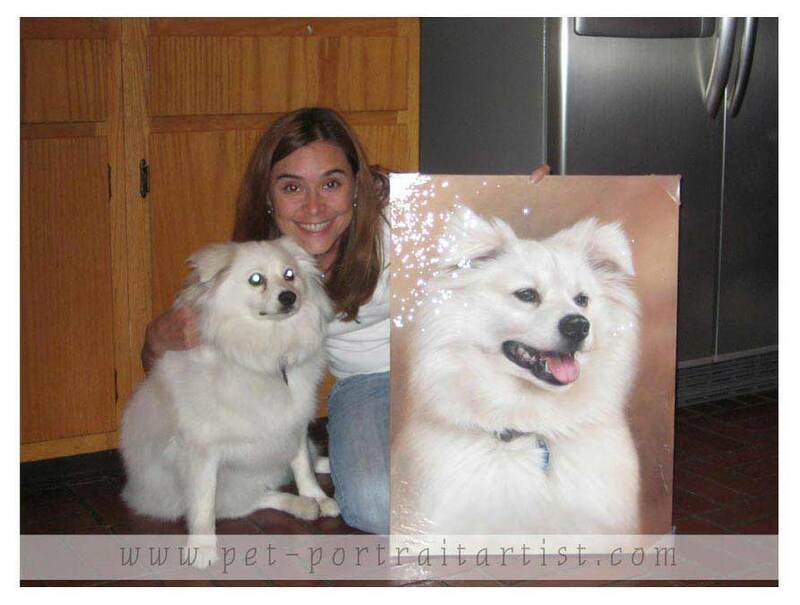 I can’t believe so much time has passed since I received the portrait of Sammy for my friend! My apologies, but I am finally sending you a few pictures. One is Michele and Sammy with the “just arrived” portrait, and the other shows Sammy, framed. Michele loved it.